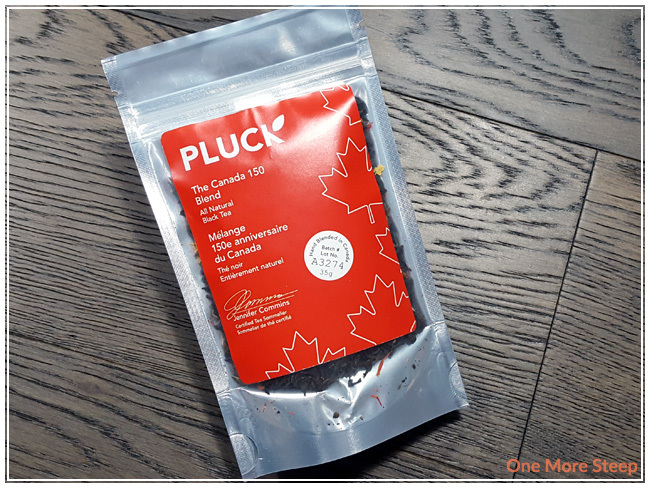 Pluck’s The Canada 150 Blend came to me as part of The Sugared Teacup’s July themed subscription box. I’ve always been a sucker for good packaging, and Pluck does pass the test in that regard. A simple foil-and-plastic bag, it does the trick to keep the tea from getting stale due to exposure to air. The nice thing is that there is some of the tea that is visible on the clear side, so you can see what you’re getting. I really like the themed label – the red and white with the maple leaves just scream Canada to me, so it’s really nice to see. 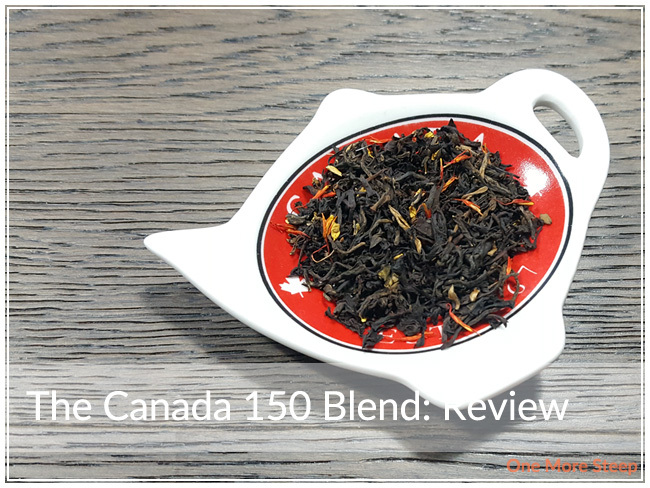 The Canada 150 Blend is made up of: black tea, sunflower petals, safflower petals, and natural flavouring. According to the product page on the Pluck website, the ‘natural flavouring’ is “natural caramel cream flavouring”. The smell of the dry leaf is primarily the black tea base. 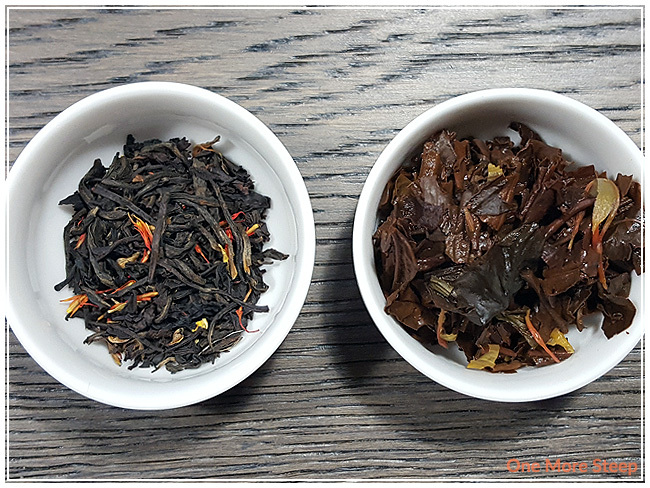 The tea has a sweetened aroma to it, which I’ll chalk up to the added flavouring, while the black tea base reminds me a lot of a straight breakfast tea – it’s generally has a bold, strong aroma to it that has just a hint of malty flavour in the fragrance. Pluck recommends steeping The Canada 150 Blend in 100°C (212°F) water for 5 to 7 minutes. I honestly thought 7 minutes was a bit much, so my initial steep was for just 5 minutes. The Canada 150 Blend steeps to a really nice golden red, the colour was more intense in my teapot than in my teacup for sure. It has a nice malty aroma to it that was quite inviting. On first sip, I’m really glad that I did not opt to steep for the upper end of the recommended steep time (7 minutes) because I found that the aftertaste of each sip to be on the just a little bit bitter side. This tea could probably stand to be steeped for a shorter amount of time (perhaps 4 minutes? ), just to avoid that aftertaste. 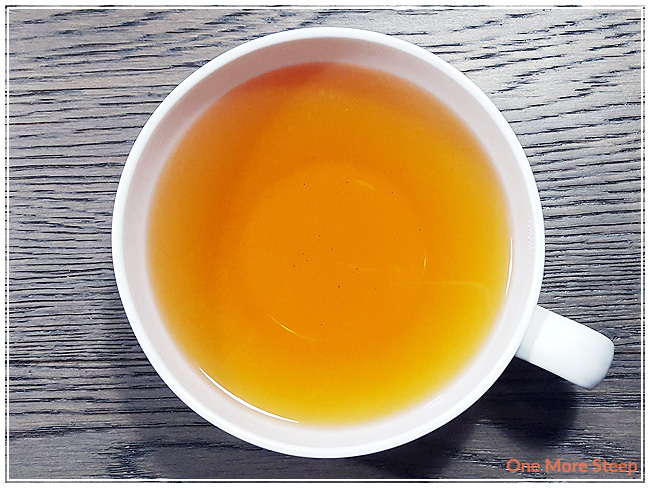 I would describe this black tea blend as being strong – it has quite a bold, malty flavour to it, with just a hint of astringency in each sip. I would liken it to being very similar to a traditional English Breakfast tea. The one thing that does set it apart is just a touch of creamy sweetness that blends in well with the malty flavour. I think we can thank the caramel flavouring for that. I tried this tea also with some added honey and evaporated milk – the honey helped bring out more of the flavouring out of the caramel, and the milk helped to temper the bitter aftertaste. All in all, I think the tea accepts a bit of help quite easily and it makes for a tastier cup of tea if you accidentally oversteep it. I resteeped The Canada 150 Blend twice (three steeps total). I found the flavouring to be fairly similar to the first steep for the first resteep, but the flavour just fell flat for the second resteep. Overall, I would say that The Canada 150 Blend is good for one more steep. I liked Pluck’s The Canada 150 Blend. I love all things Canadiana, so it’s probably not too big of a surprise that I did like this tea. I’m always a fan of solid black teas, and this one has a bit of a twist to it (with the caramel flavouring), but I found that it held up really well to the addition of sweetener and some evaporated milk. 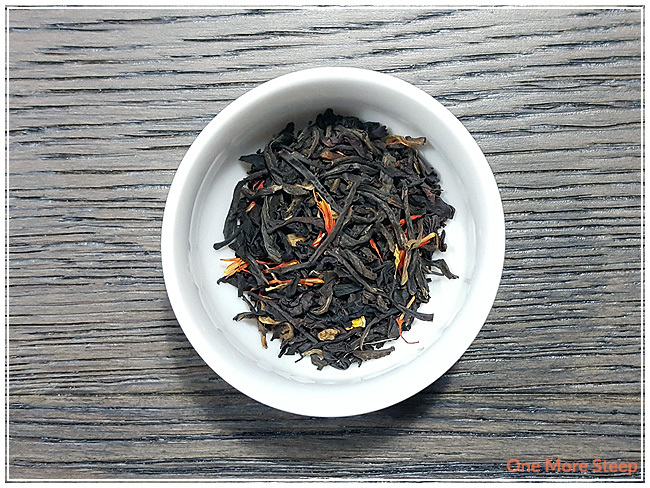 I think if you’re a fan of breakfast teas, you’ll probably like this one as well – it has a strong, bold flavour profile. It’d be a good tea to replace your morning cup of coffee with, or to serve with an afternoon tea if you’re looking to change things up from the tea time staple of Earl Grey. This black tea blend smells amazing, and it does taste quite good. I would just recommend watching the steep times (try 4 minutes and go up from there, I think you’d be woefully disappointed if you started at 7 minutes).